The Illinois Supreme Court today appointed Rossana Patricia Fernandez and Alison Conlon to countywide vacancies on the Cook County Circuit Court. The Supreme Court's press release about the appointments can be accessed from the link in this sentence. Rossana Fernandez is the owner of Rossana P. Fernandez & Associates LLC. A former partner with Sanchez, Daniels & Hoffman, LLP, Fernandez was a finalist for Associate Judge in both 2012 and 2014. She has been licensed as an attorney in Illinois since 1997. Fernandez has been appointed to the countywide vacancy created by the death of Judge Richard J. Elrod. Her appointment is effective February 2 and terminates December 5, 2016. Although several Hispanic women have been elected to the bench (there will now be 35 Hispanic or Latino judges in Illinois, 14 of them women), the Supreme Court says that today's appointment marks the first time that a Hispanic woman has been appointed to the Circuit Court in Illinois. Alison C. Conlon is a partner with the Chicago office of Barnes & Thornburg LLP. A former partner at the Chicago firm of Wildman Harrold (now known as Edwards Wildman), Conlon began her legal career as a law clerk for U.S. District Court Judge Charles P. Kocoras. Conlon has been appointed to the countywide vacancy created by the retirement of Judge Thomas L. Hogan. Like Fernandez, her appointment is effective February 2 and terminates December 5, 2016. 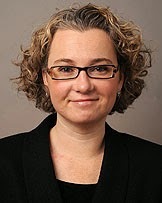 Conlon is a graduate of Duke University Law School; she holds an M.A. in English from Georgetown University. Conlon did her undergraduate work at Yale. She has been licensed as an attorney in Illinois since 2000. 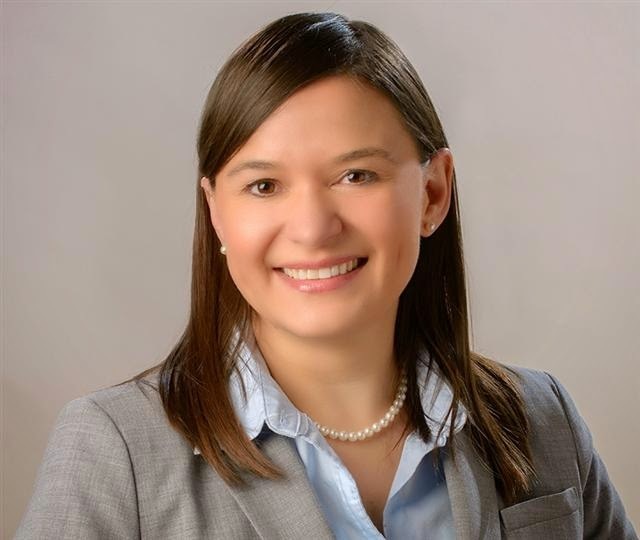 Conlon serves on the Hearing Board of the Illinois Attorney Registration & Disciplinary Commission and has served a term on the Board of Managers of the Chicago Bar Association. Both of these appointments were recommended to the Illinois Supreme Court by Justice Mary Jane Theis pursuant to the recommendations of her bipartisan judicial screening committee. Justice James R. Epstein has resigned from the Appellate Court, effective yesterday. According to Marc Kalinsky's article in today's Chicago Daily Law Bulletin (subscription required), Epstein left the bench to become an arbitrator and mediator with JAMS Inc. Justice Epstein was elected to the Appellate Court in 2010. The Illinois Supreme Court has assigned Circuit Court Judge Cynthia Y. Cobbs to the Appellate Court, effective today, and she will assume Justice Epstein's case load in the First District's Fourth Division. But Judge Cobbs has not been assigned to fill Epstein's vacancy. The Illinois Supreme Court has reassigned Justice Stuart E. Palmer to the new Epstein vacancy, also effective today. Justice Palmer was first appointed to the Appellate Court in late 2011. That appointment, like the appointment given to new Justice Cobbs, was open-ended ("until further order of court"). The Supreme Court's appointment this week terminates December 5, 2016, when Justice Epstein's seat will be filled by election. There are 24 seats on the First District Appellate Court. Eighteen positions are filled by election; the other six justices are Circuit Court judges assigned to the Appellate Court by the Supreme Court. But, with Justice Epstein's resignation, two of the 18 elected positions are also filled by Circuit Court judges serving on the Appellate Court by assignment. The other vacancy was created by the death of Patrick J. Quinn last January. Justice Laura Liu was assigned to the Appellate Court at that time, but it was the longest-serving Circuit Court judge assigned to the Appellate Court, Justice Bertina E. Lampkin, who was assigned to the Quinn vacancy on that occasion. This week's Appellate Court reshuffle does not obligate Justice Palmer to become a candidate for election to that court in 2016. After the current appointment ends, he could resume his duties as a Circuit Court judge. But the Supreme Court's actions this week do mean that, if Justice Palmer (or, for that matter, Justice Lampkin) are to continue on the Appellate Court after December 2016, they must seek, and win, election.